How did Tina Kunakey confess her love to Vincent Cassel? 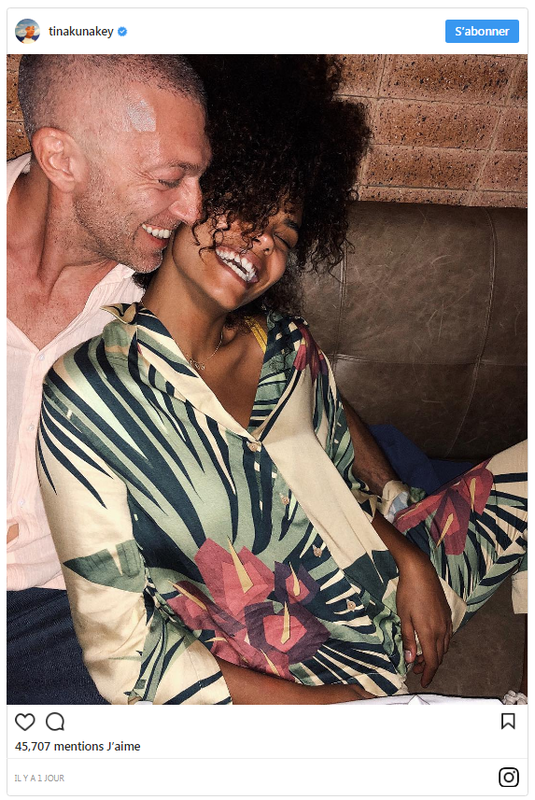 Yesterday, the stars celebrated the Day of All Lovers - Vincent Cassel and Tina Kunakey were no exception. The actor and model went on a romantic date to one of the best restaurants, from where Tina posted a romantic photo. In the photo Kunakey is seen laughing in the arms of a loved one. "The point is to be able to laugh with someone you are serious about". Recall that at the end of last year, the media reported that the couple broke up. Split rumors were circulating on the Internet after the social networking users noticed that Vincent and Tina unfollowed each other on Instagram. Fans decided that that's how their affair ended. Neither Cassel nor Kunakey commented on separation rumors, so is still unknown whether the couple was on the verge of breaking up or not. The former husband of Monica Bellucci - Vincent Cassel recently turned 51 years old, and many fans assumed that the age difference (the beloved of actor Tina Kunakey is 24), was the reason why the couple suddenly broke up. True, the main reason cited had been the rapper A $ AP Rocky with which the model began to spend more and more time in New York, However, Cassel on this New Year's week seems to have wiped gossipers out. First he posted a photo with the Brazilian family (he is now on holidays in Rio de Janeiro), where he showed off a toned body with dice and pumped up biceps, and a little later he shared the picture with Tina. And what a picture! In the picture, shared to Instagram, Vincent is seen looking at the camera, while the beautiful model is wearing a dress from a new collection of Victoria Secret. Vincent smiles slyly: well, what other questions are there ?! However, soon Tina and Vincent disproved this, appearing together at the Haute Couture Week in Paris. It seems that now they are experiencing a better period in the relationship, because both the actor and the model do not cease to admit to each other's feelings in all social networks.